Hamas lost its balance of power during the war, Gaza Division Commander states, opines that if Hamas were dethroned, ISIS would take Gaza. IDF Gaza Division Commander Itai Virov is happy that Hamas remains in Gaza, he revealed in a Channel 10 interview Sunday, because, in his eyes, the alternative would be leaving a power vacuum that Islamic State (ISIS) would fill. Virov began by noting that in his eyes, Operation Protective Edge wasn't an "operation"; it was a war. "I do not know another way to refer to the 60-65 days we were in Gaza other than as a war," he said. "It was a political decision - whether it's a war whose purpose is to defeat Hamas in Gaza [or an operation], I think that it was a good one." "Even though Hamas is a bitter and cruel enemy, and the prospect of another war is ominous, the alternative to Hamas rule in Gaza is worse," he explained. "I see what happens in the Sinai, with the network of ISIS [and ISIS-inspired groups - ed. ], and it is good that these groups remain under the eye of the Egyptian army in the Sinai [which is fighting terror there - ed.] and that we will continue to fight our own battles [i.e. Gaza]." "A state of chaos in the Gaza Strip would lead to bad situations in Gaza and become more complex than the situation that existed before the war," he added. In general, Virov believes, there is no way to really deter Hamas in Gaza, because the Palestinian Arabs there live under such poor conditions that they are doomed to get involved in terror; they are convinced that war is a way out to a better life, and as such will not overthrow their own leadership. However, he stressed the importance of this war nonetheless. "It was a very important campaign," he stated, "more than being decisive and a clear deterrent, it was preventative." He insisted that, even if the war did not succeed in completely demilitarizing Gaza, it took Hamas "one step back." Overall, Virov said, Operation Brother's Keeper, to find and rescue the abducted and murdered Israeli teens in June, changed the balance of power in the region. "Hamas in Gaza estimated two things: that all the IDF troops would be called into the Palestinian Authority, so it can infiltrate Israel a little more, and it convinced itself that we would be too preoccupied to retaliate," he said, "And second, the internal discourse within Hamas and the Palestinian community thought over a difficult question: how could the Al-Qassam Brigades in Gaza [Hamas's military wing - ed. ], establish control over Israelis through a barrage of rockets, and then get Hamas to control the government in Judea and Samaria and take control regarding the issue of Israel returning Palestinian terrorist prisoners?" 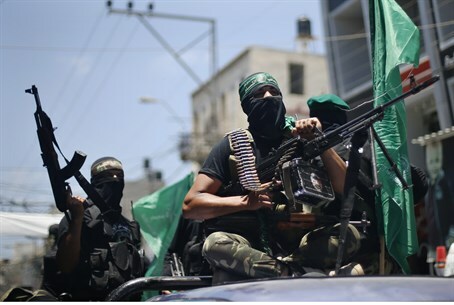 "[Operation Brother's Keeper] was a finger in Hamas's eye, and what drew it to act was that Hamas lost its most important weapon - more important than high-trajectory weapons or mortar shells: it lost deterrence [against Israel]," he opined. "Once that happened, once Israel thwarted an infiltration into Israel through Kerem Shalom, Hamas lost its balance of power until the very end of the war."